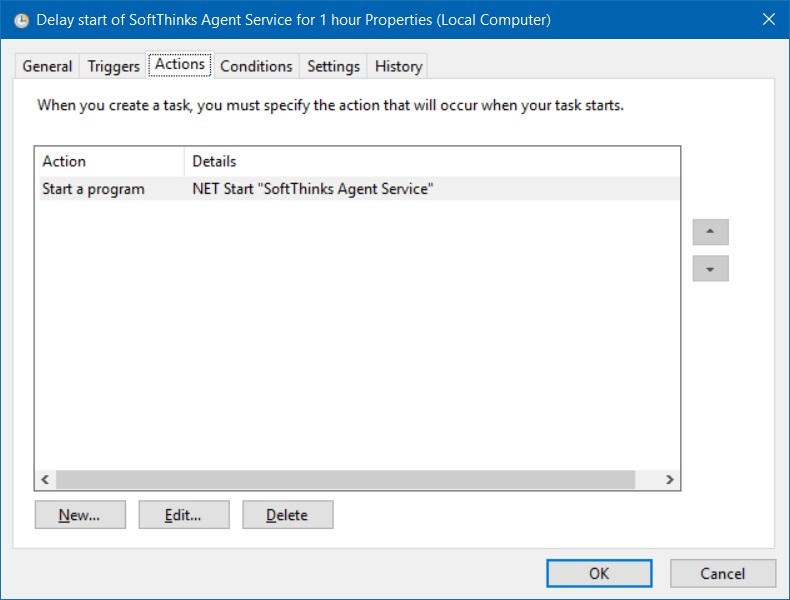 Are you tired of the SoftThinks Agent Service running every time you start or reboot your PC and taking up resources and slowing the PC just when you need to do something? 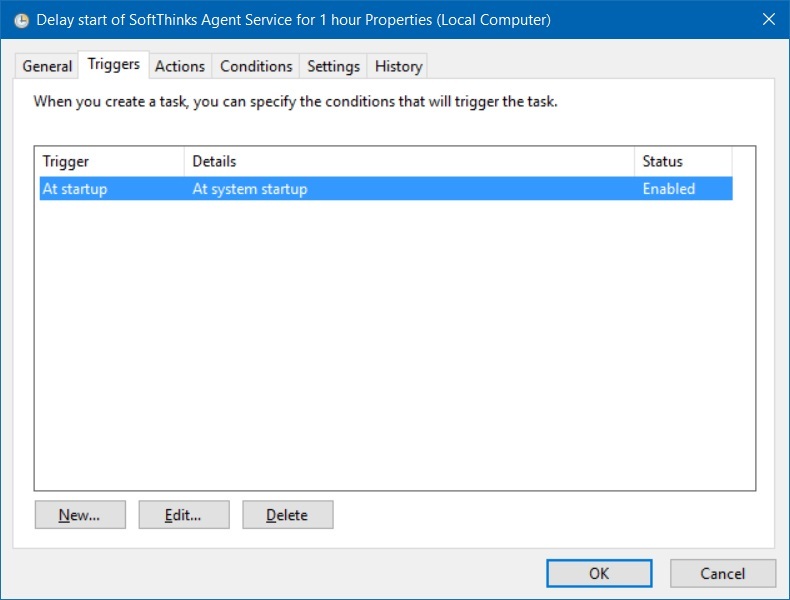 Don't want to disable the service or uninstall the associated software? 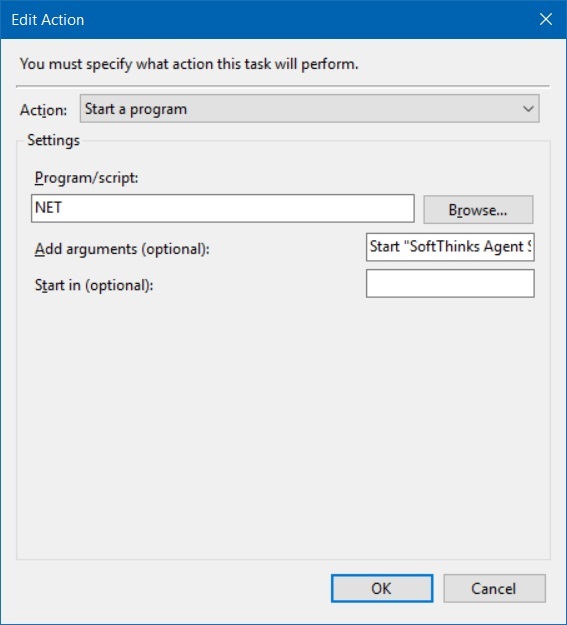 Here's a work around I'm using that seems to work. 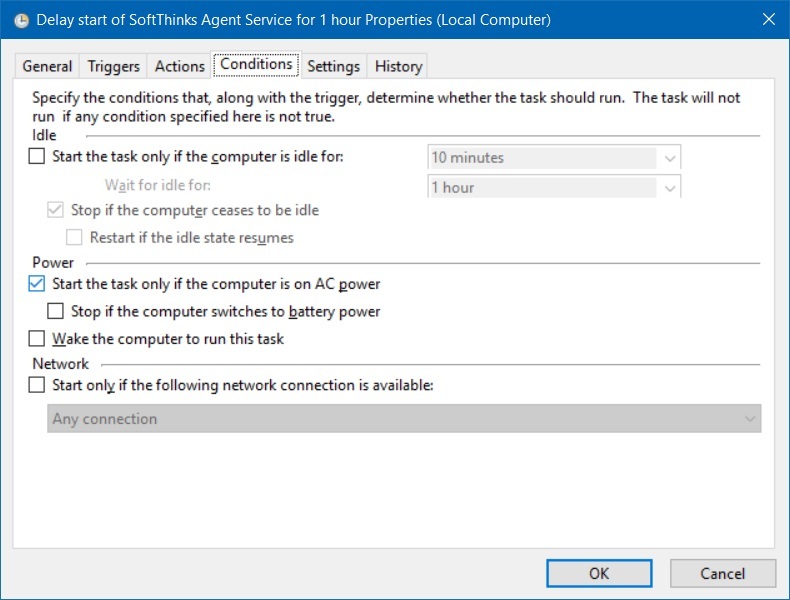 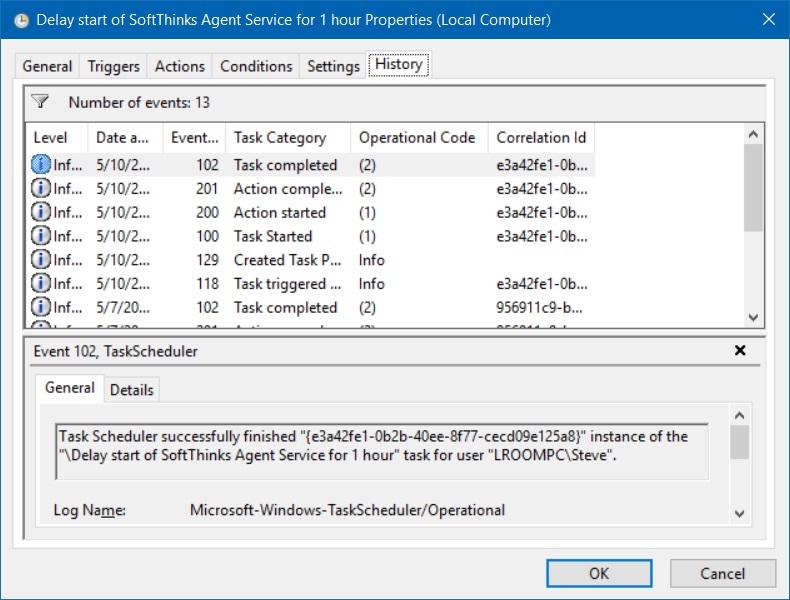 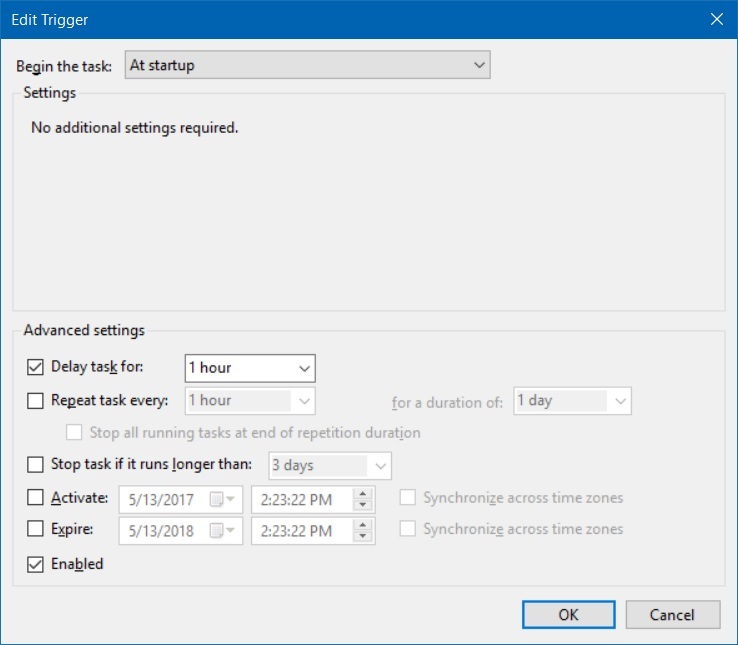 1) Create a task in task scheduler to start the Softthinks service after system boot. 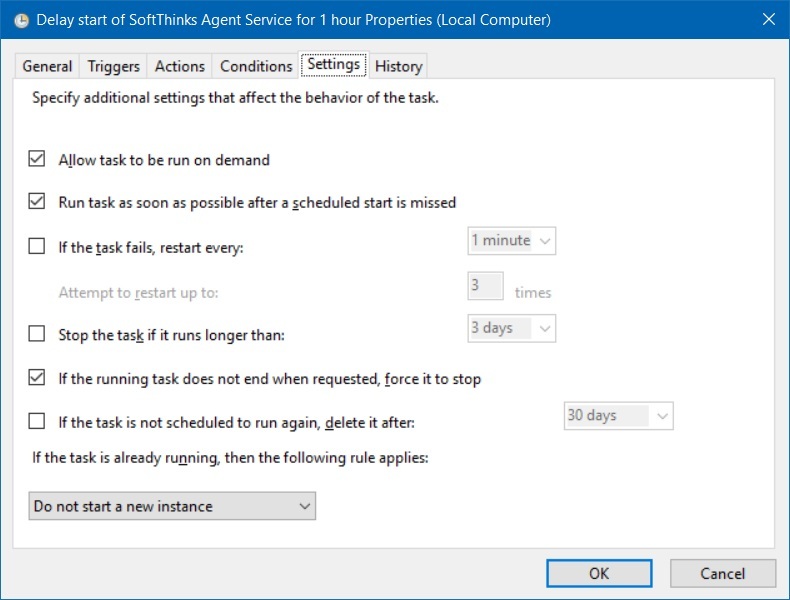 Note: You have to activate task history to see any thing in the history tab. 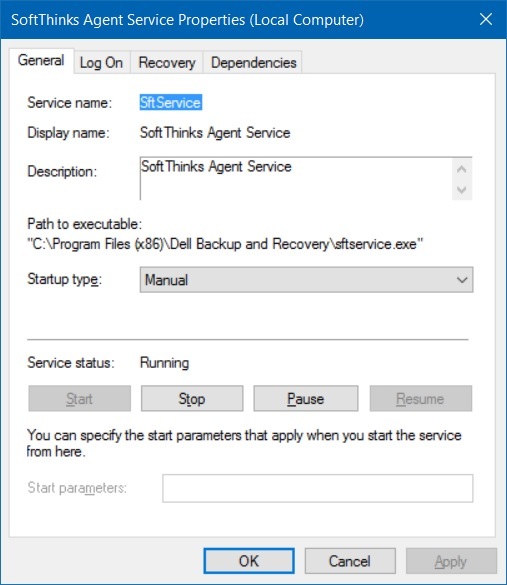 Next go to services and change the start option of the Soft Thinks service to "manual". 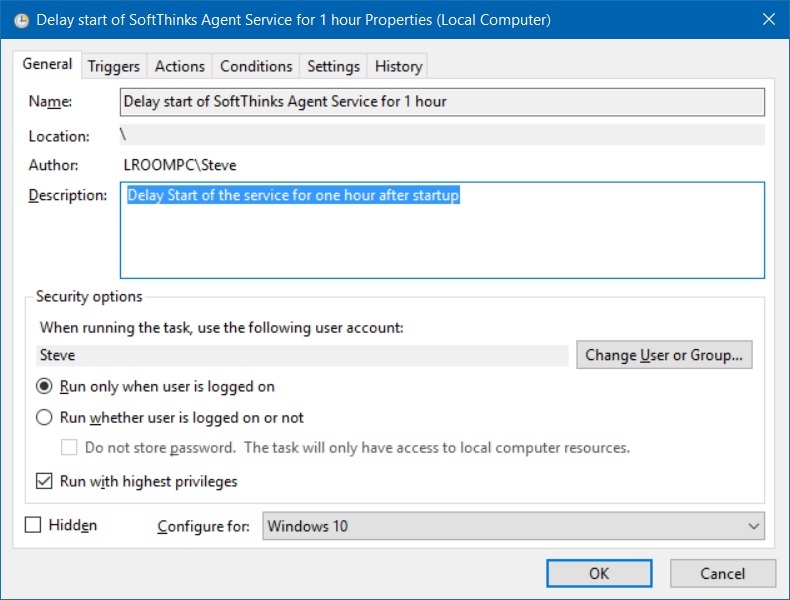 On your next reboot the Softthinks service won't start until what ever delay time you set in the task has expired.